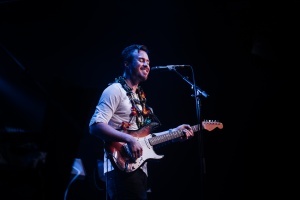 Sean Cleland is a performing/recording songwriter, guitarist, and vocalist based out of Honolulu, Hawai’i. Described as an “innovative singer-songwriter and prolific performer [who] plays pop, rock, and soul” by the Honolulu Star-Advertiser, his music straddles the line between new and classic, refined and raw, solitary and cosmopolitan. Sean’s solo act and band seamlessly blend together singersongwriter, rock, pop, folk, blues, R&B, and soul genres. He has opened for Iron & Wine (2018) and Houndmouth (2016) at Honolulu’s famed Republik, as well as performed at Aloha Stadium, Hawaii News Now, KHON, KITV, The Perry & Price Show, and Pakele Live (his particular concert is still currently airing on OC16). He was also selected as a finalist in the state of Hawaii for the “KHON X Factor Audition Pass Contest” and has been a semifinalist for the RAW Awards. 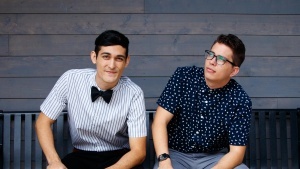 The Fresh Preps are a musical collaboration between two ambitious songwriters/producers from Mililani, Hawaii consisting of Joshua Stephens and Daniel Lyons. Together, they specialize in well polished, highly energetic songs and performances. They’ve shared the stage with Kina Granis, Jun Sung Ahn, McKay Kim, and many others. In 2015, they released their single “Zombie Song”, which was so well-received that it was played consistently on local radio in the Halloween month for 2 years. In 2017, their album “We Are Alive” was nominated for ‘Best Alternative Album at the Na Hoku Hanohano Awards and became the two-time champion of the Honolulu Hard Rock Battle of the Bands. They work full-time as musicians performing all over Oahu and on the streets of Waikiki. Maka Gallinger is a singer/songwriter/ performer from the Big Island. She is a full time professional musician and her music showcases her versatility in different genres including rock, pop, ska, reggae and latin/island. She has had the opportunity to travel to perform at private events in Kauai, Oahu, New Zealand , California and Seattle, as well as the honor of opening for the 2016 Fed World Cup of Tennis and 2016 Honu/Ironman Race. 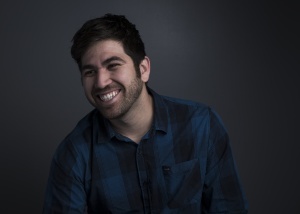 Imua Garza is a vocalist, musician, producer, recording engineer and composer. He first appeared on a professionally released CD at the age of 11. About this time Imua started playing in his first music group, Opihi Pickers. Ten years, seven albums later, the Opihi Pickers have become one of Hawaii’s most beloved bands with several #1 radio hits. Since that time Imua has become an accomplished producer, recording studio engineer and musical arranger and has appeared on hundreds of songs. Some chart topping, award winning bands he’s produced or worked with include Rebel Souljahz, Kolohe Kai, Kimie, Katchafire, Natural Vibrations, John Cruz, Streetlight Cadence, Weldon Kekauoha and Kuana Torres. In 2009 his band “One Right Turn” was a part of SXSW in Austin Texas and featured, as one of the top 10 must see bands out of 2000 bands. He’s also shared the stage with Jack Johnson, John Cruz, Jake Shimabukuro to name a few. Emi Hart is a pop/folk artist and songwriter from Honolulu, Hawaii. Her first childhood memory was singing along to the car radio at the age of five, and announcing to her mother that she wanted to be a singer. She spent her teens performing in the school choir and honed her stage skills in amateur talent shows which she found in the local newspaper. 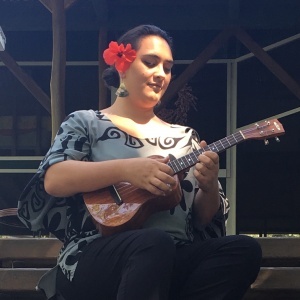 After completing a minor in music and a BA in Communications from the University of Hawaii, she also discovered a passion for songwriting which she’s developed over the last ten years. Emi’s debut EP “Robot Man” was released in 2017, and she is currently working on a full album to be released in 2018. Haley Joelle is an 18 year old artist and songwriter from Portland, Oregon. She’s been singing and writing songs since she was a little girl and already showcased in high profile events like the Hawaii Songwriting Festival and the Durango Songwriting Expo in California and Colorado. In 2018 she earned a #1 spot on the Billboard Dance Club Songs chart, with “Meet In the Middle” – A song she co-wrote with Richard Harris and is the featured artist on. She’s collaborated with many of the immersive participants and mentors, and her EP, “My Own Voice- the EP,” was self-released in 2017 on all platforms. Haley Joelle will be attending the Lillehammer Institute of Music Production and Industries in Norway, starting September 2018. After picking up his first instrument at the age of six, Evan Khay has been pursuing his passion for music ever since. Before graduating high school,Evan became a multi-instrumentalist, singer and songwriter. 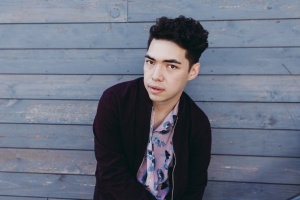 Evan’s desire to blend various genres together has given him a unique sound that showcases his ambitions as an artist. Although Evan loves performing at local venues, Evan is most passionate about performing, writing, composing and recording his original music. Evan began songwriting at the age of 16 as a way of learning the guitar and has been writing and producing his own music since graduation from Kamehameha Schools – Kapalāma in May of 2014. Evan released his critically-acclaimed debut album “Retrograde” in August of 2017. His album was nominated for “Alternative Album of the Year” and “General Engineering” at the 41st Nā Hōkū Hanohano Awards in May of 2018. 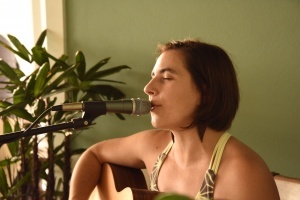 Kristin Lagasse is a Kona based singer-songwriter with a musical style often likened to Norah Jones, Natalie Merchant and Ani Difranco, and began her journey as a songwriter at age 12. She has released 3 solo studio albums and is currently finishing my fourth. She has spent the past 5 years growing in songwriting, cultivating relationships with other songwriters and musicians and learning the specific requirements of writing music for television, movies, and commercials. She has attended the Hawaii Songwriting Festival twice, winning free attendance in 2016 in the open mic contest. In 2015 she also won second place in my genre with my song Rugged Heart in the World Wide Music Contest. After having spent roughly 20 years as a solo songwriter Kristin recently been concentrating on learning the intricacies of co-writing. Born in Tokyo and raised in New Zealand, Kat McDowell makes music with an Ocean Pop sound delivered in a blend of Japanese and English that is uniquely her own. While drawing inspiration from artists like The Police and Jason Mraz, she also grew up listening to J-pop and discovered her love of the ocean and surfing as a teen in New Zealand. Her career kick started when her first record went to no 1. on the vinyl charts in Japan selling out after two days in 2007, and has since released 3 albums, 4 mini albums and appeared on several TV commercials. In 2015 she was hand picked by Don Was as a top 5 finalist in the Guitar Center Singer-Songwriter competition. She also has an engaged and supportive fanbase and successfully crowdfunded her new Ten Year anniversary album “TEN” which came out March 24th, 2018 and will be performing a 20+ date Japan Tour in the Spring. “Language of My Heart” from “TEN” won the “voice of the people” award for her lyric video in the 2018 Independent Music Awards in NYC. Singer/songwriter Faith Rivera’s catalogue of over 100 songs have been placed in tv shows like Hawaii 5-0, ER, America’s Top Model, Scrubs and many more. In addition to having 10 Album releases with over 20,000+ CD sales on indy label, Lil’ Girl Creations, Faith’s songs have also been recorded by artists including Na Leo Pilimehana (Na Hoku winners), Olivia Noelle (now on Columbia Records), Lyrico (Sony Music Entertainment – Japan), Liza Hanim (SRC Malaysia), Lokahi (Cinnamon Red Records), Canoe Club and Joy (Roy Sakuma Productions), Daniel Ho, Harold Payne & more. Whether she is performing at the Hollywood Bowl, with the Honolulu Symphony or in a virtual livestreaming concert, fans say her energy & music are infectious and leave audiences feeling inspired. Among her many accolades, Faith has won an Emmy Award for Outstanding Original Song on a Daytime Series (NBC’s Passions) and a Grace Note Award for Contribution to New Thought Music. Cameron is a singer/songwriter based in Los Angeles. With his band, “The Reel”, where Cameron was the lead singer, songwriter, and played acoustic guitar and some piano, Cameron has won the “Say It With Skype” competition searching for the “Next Big Band” by judges Ryan Tedder (Lead singer of OneRepublic), Pete Wentz (Fall Out Boy, Black Cards) and Matt Pinfield (MTV’s 120 Minutes), who were the band’s mentors. The Reel also won the Sacramento Sammie Awards two years in a row in the Pop/Rock category, was featured in BOP & Tiger Beat Magazine and in USA Today News. As a solo artist, Cameron currently has a #1 song in Malta w/ Red Electrick, a song placement w/ Alexandra Stan who has the song “Mr. Saxobeat” (over 90,000,000 Spotify plays). He recently wrote and produced a song for the movie “BLINDSIGHT”, wrote a song for Grayson Dewolfe “Karma” video has 500,000 views, and is also currently writing songs with Lena Meyer-Landrut, who won Eurovision for Germany. 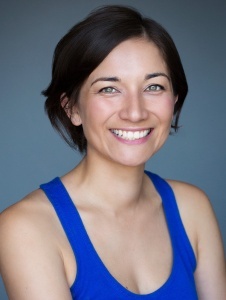 Olivia Thai engages with live audience members in a meaningful, yet comedic and relatable way. Her music is the perfect balance of truth, creativity, and sophistication. She is able to captivate her audience by being a multi-instrumentalist with the ability to beatbox, play the violin, guitar, and piano while singing – all at the same time. She records each instrument on stage with a looping machine. After creating her composition live, she adds her dynamic and soulful vocals to complete each song. 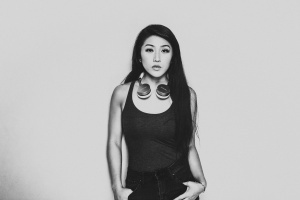 In addition to writing over 200 songs, Olivia was on the last season of American Idol on FOX, won Taiwan Idol, and won Megastar, Usher’s worldwide talent competition in 2018. She has over 21 million views on YouTube with over two million fans worldwide. Olivia was also a writer and comedic actress for a comedy channel with over 2,000,000 subscribers.